All Uefa had to do to stop themselves preaching to the converted was visit Anfield on August 9th. Not unusually, a near-capacity crowd of 43, 256 packed the old stadium to cheer on Liverpool after hordes of fans had queued for last-minute tickets, enticed by the prospect of seeing the Merseyside club flaunt their skills in European competition again. So who would the English Kings of Europe be taking on this time? Real Madrid? Barcelona? AC Milan? Try FC Gomel – Belarussian Cup winners last year. In the second-leg of the Third Qualifying round of the Europa League. 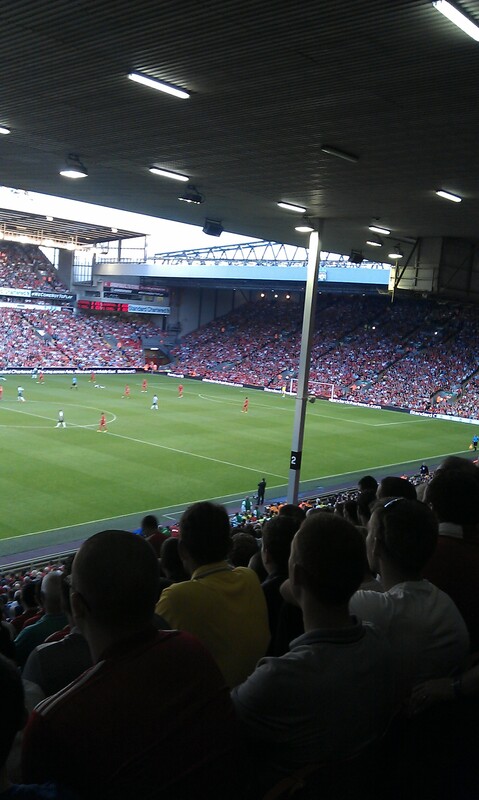 On this reporter’s first visit to Anfield, it was hard not to be impressed by the devotion of fans routinely lauded for their ability to create special atmospheres on European nights in Liverpool. You could have been forgiven for thinking the occasion was that of a well-supported club’s first foray into Europe such was the bristle of anticipation audible all around Anfield Road leading up the game. The fact that Brendan Rodgers was being introduced to the locals in his first competitive game at Anfield may have had something to do with the excitement filling the stands of such an intimate and atmospheric arena. Cheap ticket prices (ranging from £10 to £15) will have also bulked up the size of the audience present that night but, for a fixture almost certain to go in favour of the home side after a 1-0 win courtesy of the rarest of strikes from Stewart Downing in Belarus and featuring little-to-none pre-match intrigue between the two sides, the attendance was astounding for a routine qualifying round of Europe’s secondary competition. Ask Reds fans where they worship and the answer would be Anfield. After a season’s absence from European competition Liverpool fans grabbed the earliest possible opportunity to see their team in the Europa League and were rewarded with a 3-0 win recorded thanks in part to a wonderful volley from Glen Johnson and Fabio Borini’s first goal for the club. There were shoots of Rodgers’ philosophy on show as neat, passing football contributed to Gomel’s expected demise. Joe Allen was the £15 million guest on display and a sign of Rodgers’ intention to bring the tiki-taka football he produced at Swansea City to Liverpool, with the help of one of his most-accomplished disciples from his days at the Liberty Stadium. After the shambles of the last couple of seasons, it’s only right that Rodgers is given time for his methods to come to fruition and Liverpool fans seem to have accepted this, following in large numbers and yet to criticise the Northern Irishman in the early days of his reign that have yielded inconsistent results thus far. It is in the Europa League where great entertainment has been produced in Liverpool games. First, they overcame a testing Heart of Midlothian in the Play-Off Round in a two-legged contest that captured that renewed the fervour of classic English-Scottish club encounters of the past and was watched by sell-out crowds at both Anfield and Tynecastle. This earned Liverpool a berth in Group A; the standout group competing in this year’s Europa League. The slightly comically-named Stade de Suisse Wankdorf saw a near-capacity crowd take in a goal-heavy game between Switzerland’s Young Boys and Rodgers’ own youthful ensemble, in which Liverpool won 5-3. 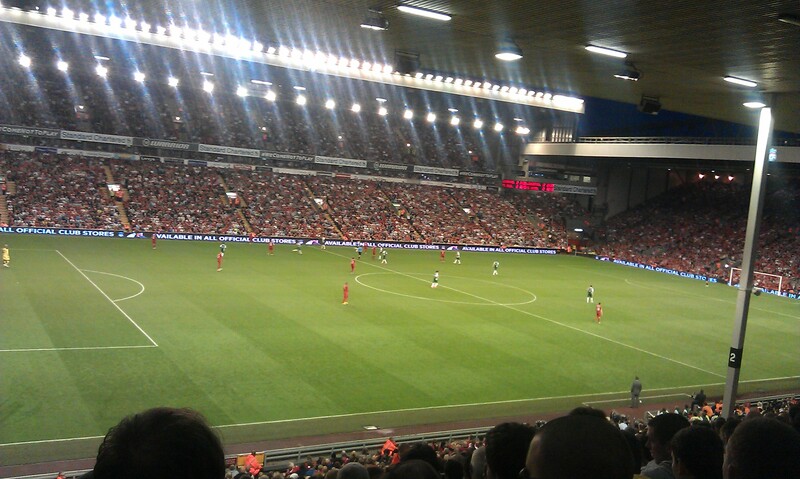 A packed Anfield then witnessed Udinese record a quite unfathomable victory against a dominant Liverpool side and next up to be welcomed by the watching Kopites is Anzhi Makachkala. Anzhi currently top the Russian Premier League and will arrive in tow with the world’s richest footballer, Samuel Et’oo, as their unlikely sudden rise to prominence from the depths of the troubled Russian Republic of Dagestan face their sternest test to date via the Europa League. And yet, it was revealed last week that Uefa had sent clubs participating in the Europa League an edict asking managers and players to speak positively of the competition. The sheet centred on enlightening the press of a “prestigious” trophy which is “rich in heritage”. The exploits of Liverpool, on and off the field, in the Europa League suggest that such a prompt is simply unnecessary in that part of the world. Of course, strong attendances at Anfield, Tynecastle and Stade de Suisse Wankdorf in the early stages of the competition don’t contradict the efforts of Uefa by themselves but further analysis around Europe would seem to prove that the Europa League is not doing badly. How else would Bangor City get the opportunity to play in front of 4000 spectators at Moldovan side, Zimbru Chişinău, without the 1st Qualifying Round? Healthy attendances of 20, 000 and 13, 000 were recorded by FK Sarajevo and Eskişehirspor, respectively in the Second Qualifying Round and the numbers of fans at Liverpool’s aforementioned clash with FC Gomel (who, incidentally didn’t appear to have brought any of their supporters from Belarus with them) wasn’t even the most in the Third Qualifying Round. That honour went to Internazionale who were pushed to the wire by Croatia’s Hadjuk Split in front of 44, 154 spectators at the San Siro, losing 2-0 after beating Hadjuk 3-0 in the first-leg attended by 38, 000 fans. The highest attendance was then eclipsed in the Play-Off rounds as Holland’s Feyenoord Rotterdam attracted 45, 000 to De Kuip Stadion for their first-leg game against Sparta Prague. Play-Off Round games in no fewer than 15 countries saw at least 20, 000 people take to the terraces at one or more stadiums hosting competing teams. Uefa’s concern was raised during the Group stage of the tournament, however, and it is this that perhaps needs the most scrutiny to understand the European footballing body’s grievances. In England, Liverpool are well-supported in the competition whilst normal attendance figures for Tottenham Hotspur and Newcastle United fell by around 10, 000 each in their first home group stage matches. There were notable drops in attendance figures at Stuttgart, Bayer Leverkusen and holders, Atletico Madrid in their first home group games. After such a high attendance figure at the San Siro in the Third Qualifying Round, Internazionale had to contend with 28, 472 for their first group game versus Rubin Kazan. Other than the large drop in numbers for the clubs listed above the norm has been for most clubs to lose a few thousand of their average domestic support base or maintain the average attendance for Europa League group games, and for some clubs, the tournament has marked a significant increase in crowds. Olympique Lyonnais, for example, have averaged a crowd in France’s Ligue 1 of 29, 838 but managed to get 42, 000 attending their group game against Sparta Prague. 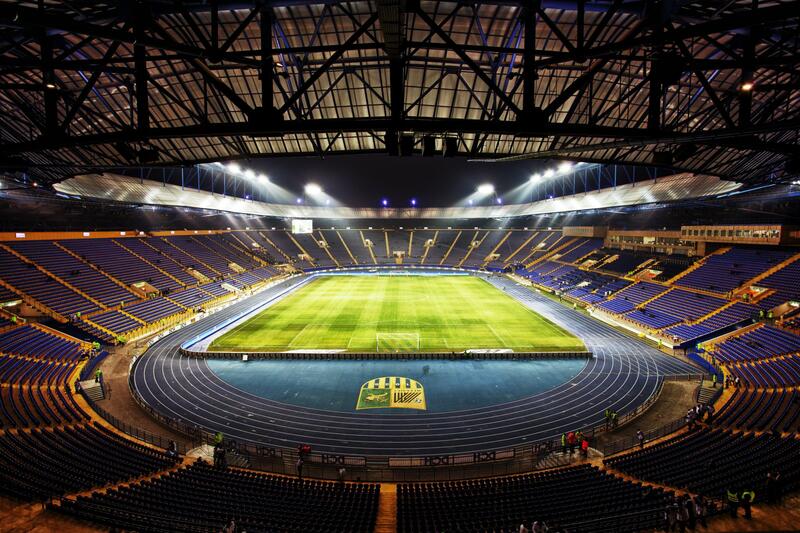 Ukrainian teams, Dnipro Dnipropetrovsk and Metalist Kharkiv, had the tournament to thank for bringing in sell-out crowds of 31, 003 and 40, 003 respectively compared to league averages of 23, 622 and 31, 575 and the visits of Internazionale to Azerbaijan’s FC Neftchi and Copenhagen to Romania’s Steaua București brought in huge crowds of 80, 000 between them. So, based on attendances alone there doesn’t appear to be much significantly wrong for Uefa to go calling for help from the tournaments players and managers. If it’s TV revenue Uefa are wanting then, again, there are enough outlets seeking to cover the Europa League for it to be a worthwhile project. The Champions League failures of the two Manchester clubs last season ensured that, despite the widespread derision, a wide audience were tuning in on Channel 5, Thursday nights and will have undoubtedly created the highest viewing figures for Europa League football outside of the last few rounds. The media’s reporting of the PR boost attempt by Uefa hinted at a disillusionment with the contrasting fortunes of the Europa League in comparison to the Champions League. It doesn’t take a genius to work out that more people are going to devote their time to welcome Europe’s elite football competition over the second-tier alternative. If this really is the source of their anxiety then surely someone needs to give Uefa a reality check. The only existing criticisms of the Europa League are found in its format. A Champions League place for the winner wouldn’t go amiss and some still prefer the straightforward knockout system last seen in the 2003-04 season which ensures that every game has something riding on it. Both criticisms lay squarely in the hands of a clearly out-of-touch Uefa. For, as Liverpool and other keen football fans know, the Europa League is full of drama, excitement and a prestigious tournament to win. In Liverpool, the Europa League has a team steeped in European history with fans loyally in attendance for any and every special European night at Anfield. And, while other clubs may not give the competition as much respect, Uefa can be sure that the Liverpool fans will walk with them every step of the way of what is already gearing up to be a fascinating season of Europa League football. This entry was posted in Analysis and opinion and tagged anfield, brendan rodgers, europa league, joe allen, liverpool, uefa by Andrew Belt. Bookmark the permalink.